Selections of Fritillaria imperialis and Fritillaria meleagris are available at our Fall Bulb Festival this weekend; many additional varieties can be found in specialty catalogs. 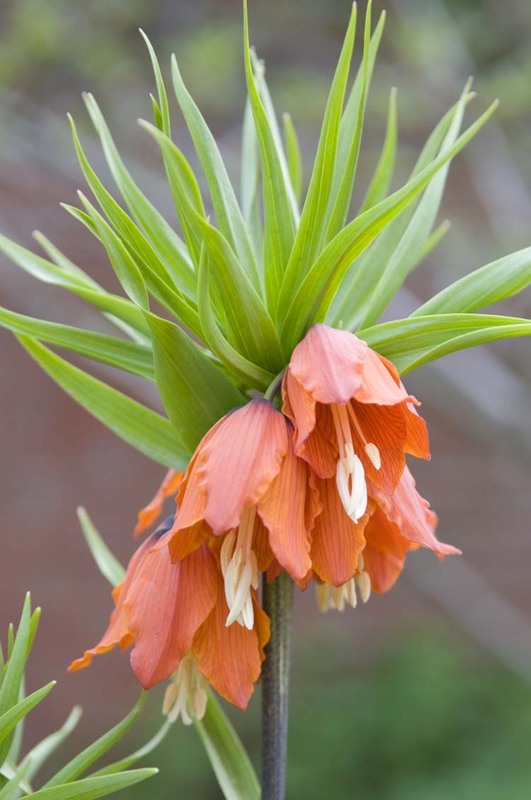 Fritillaria are some of the most unique spring-flowering bulbs you can grow. Available in nearly every color (except blue), many have interesting patterns on the petals. Combine this with a worldwide distribution and you’ll find that there is a fritillary for nearly any spot in any garden. 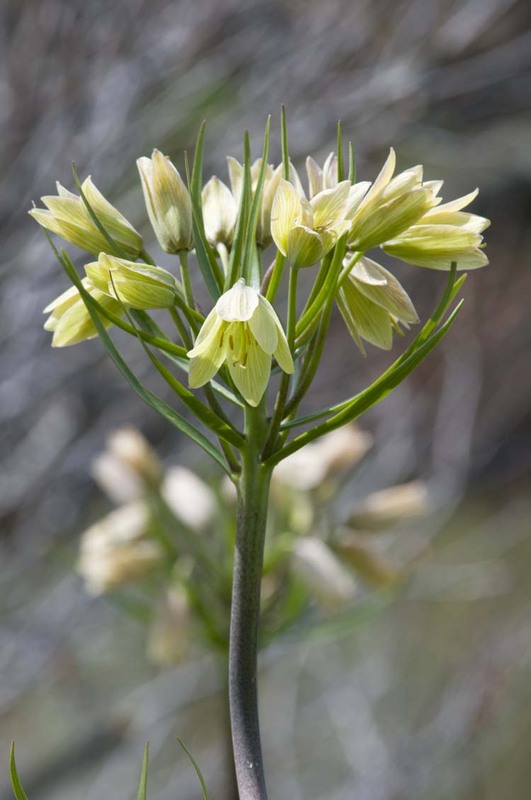 Fritillaries range from Fritillaria meleagris, on the small end at approximately 6-8 inches tall, to Fritillaria persica, which grow to 5 feet tall and are covered in nearly black, bell-shaped flowers. Some of the most commonly available and popular varieties include Fritillaria imperialis, which comes in orange, red, yellow, and variegated forms; Fritilaria meleagris, commonly called the snake’s-head or guinea hen flower because of its unique checkered petals; Fritilliaria uva-vulpis, which has charming yellow and maroon flowers; and the above-mentioned beauty, Fritillaria persica. 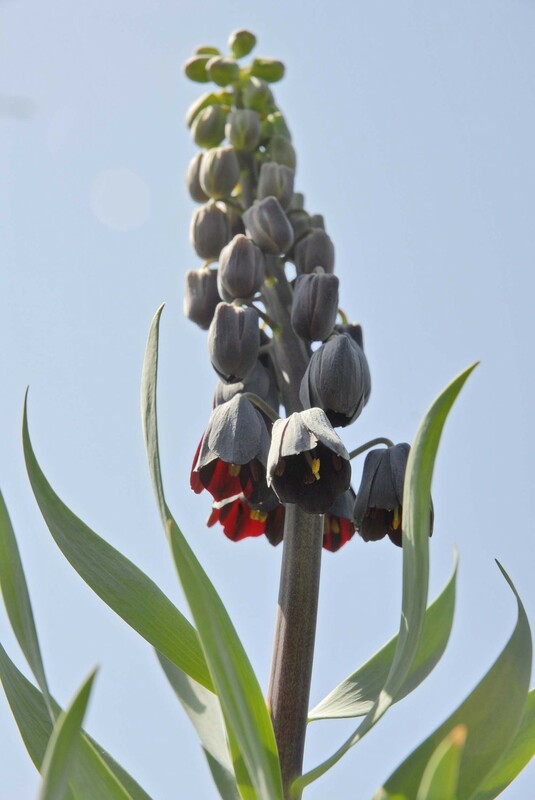 Perhaps the best fritillary for the home gardener is Fritillaria meleagris. These undemanding plants will readily naturalize when happy and come in shades of purple and white. Their grassy foliage blends in well with other spring flowering bulbs and the often dark flowers stand out well against the blues and yellows of other spring flowering plants. Their biggest demand is that they never dry out completely in the summer, which makes them perfect for mixed borders that receive supplemental water in the summer. They do best in filtered shade, which helps prevent too much drying out. Another excellent fritillary for home gardeners is Fritillaria imperialis. This regal plant comes in several colors and has a bold presence. In late spring, the lily-like plants are crowned with a ring of vibrant orange, red, or yellow bells that light up the garden. They can have a somewhat pungent smell, so they’re best appreciated at the back of the flower border. (Although the fact has not been proved, this smell is said to repel rodents.) There are several varieties commercially available, including a variegated form. 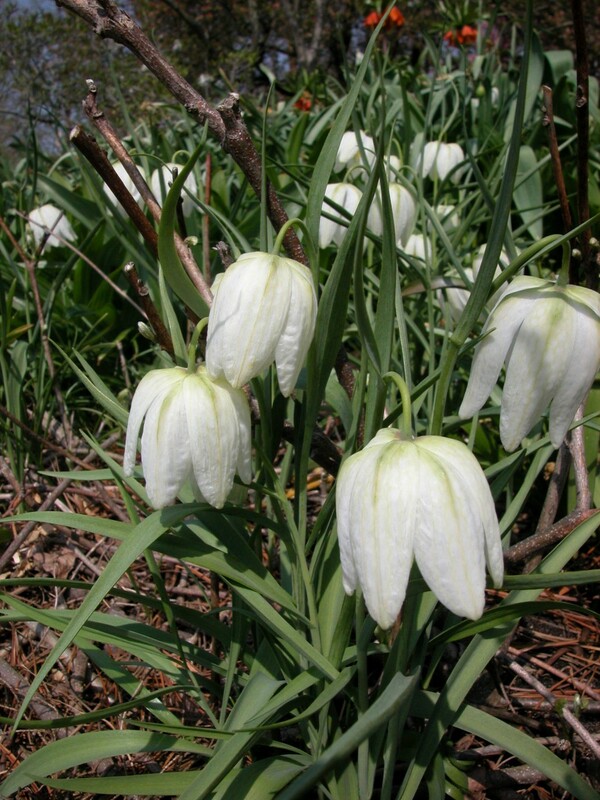 When planting imperial fritillaries, care should be taken to plant the bulbs on their sides. 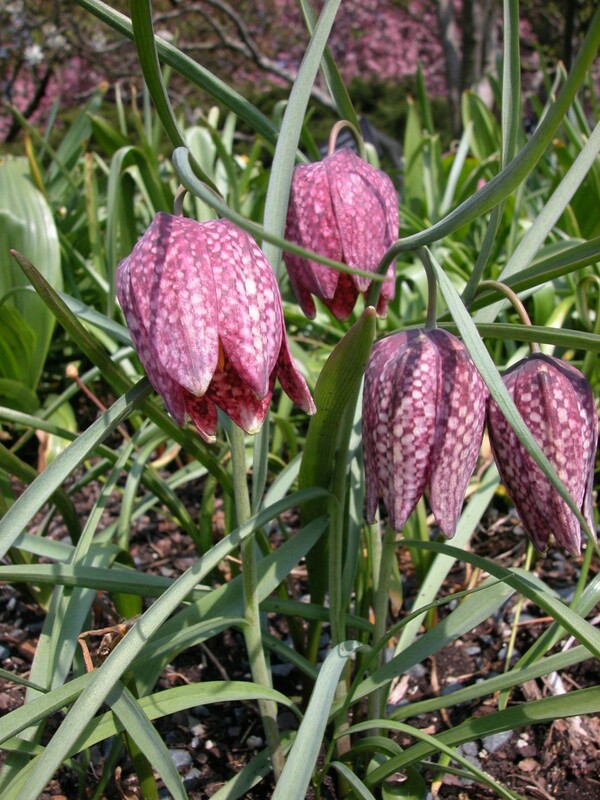 Large fritillary bulbs tend to have a hole in the center which can retain water and rot the bulb. This is easily avoided by planting them on their side so that water can’t build up. Another way to help avoid rot is to make sure they’re planted in a well-drained, sunny location. Consider adding fritillaries to your garden this fall, and welcome spring with a glorious display of color! Mine haven’t bloomed regularly. Do they need yearly fertilizer?